Nowadays, the uses of the computer are huge. Basically, the computer has two parts one is Software and the other is Hardware. And here I talk about what is software and hardware? Now, Hardware is those components of a computer that we can touch but the Software, we can't touch. This is the major difference between software and hardware. The language (like English, Hindi) we can understand and we use to communicate between two or more person. But the computer does not understand our language, the computer only understands binary code which is 0 and 1. 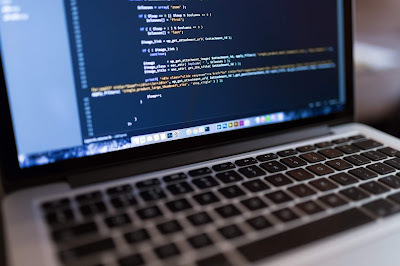 A logical set of instruction given to the computer is known as a program, this program helps to interact with the computer to perform a specific task. A group of the program made software which bases the utility for the user. To make a program we used computer language. There are three types of computer language, 1st is High-Level Language, 2nd is Assembly Language and 3rd is Low-Level Language. System software is too heavy and very complex software. The system software is the interface between the hardware parts of the computer and the user because we speak a language (like English and other languages) but the computer understands only binary language. Here the system software is helping to interface between the computer and the user. System software converts all human instruction into a machine-understandable form. There are three types of system software. This is that software, which serves specific purposes and allows the user to create applications which are for a given purpose like financial accounting, payroll, examination, human resources management etc. 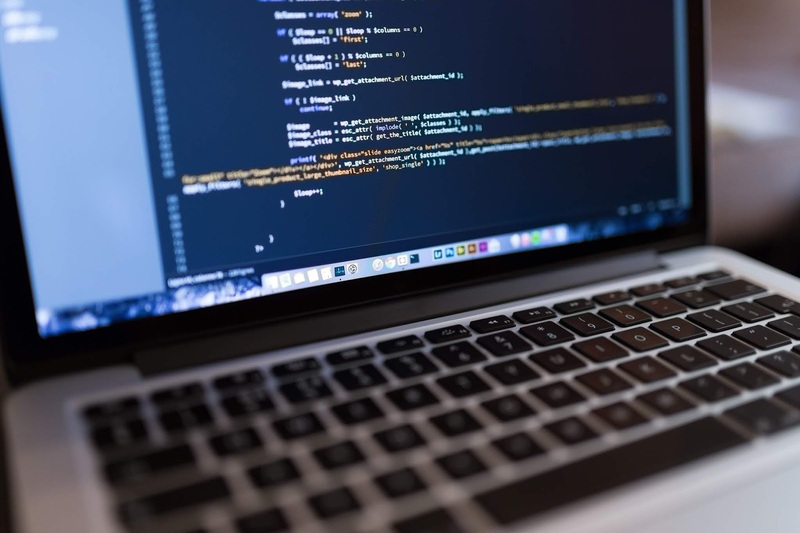 This software can be further classified, depending upon the source of development as well the users. Example of application software: MS Word, Adobe Photoshop, Wondershare Filmora etc. This is that software, which provides certain tasks that help in the proper maintenance of the computer. The utility software is to keep the computer system running smoothly. The utility software comes with the operating system. 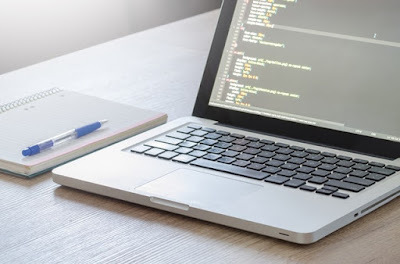 Even if you have no utility software, the computer works properly but with the right kind of utility software, the computer becomes more reliable and even its processing speed increase. Some example of utility software: Antivirus, Disk Defragmenter, Backup Utility, Compression Utility, Disk Cleaner, File Management Tools. 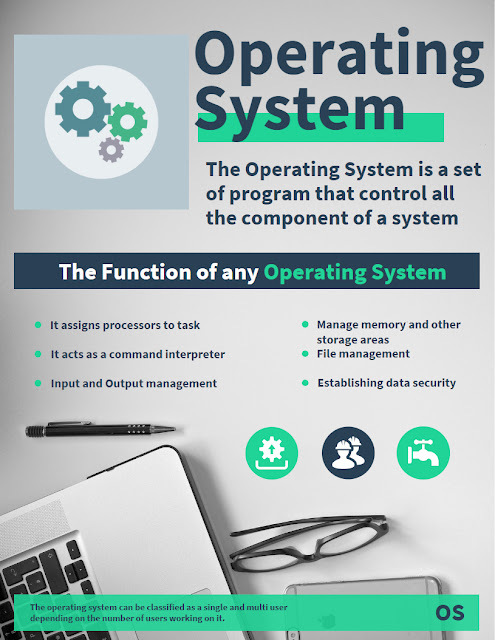 What Is Operating System (OS)? The operating system is a set of programs that control and support hardware and provide various services which are used for the better operating performance of the computer. It manages memory and other storage areas. It acts as a command interpreter. Establishing data security & integrity. Maintains an account of processor time for billing purposes. Provides data and time services etc. The operating system can be classified as a single user and multiple users depending on the number of users working on it at a given point of time. Some example of an operating system: DOS, Windows, Linux etc. As a digital computer accepts digits and characters as input, however, this input is not understandable by the computer. To make the computer understand it, the input has to be converted into machine language. The software which makes this conversion and increases the productivity of the programmer is called language processors or translators. Compiler: Compiler is software that will accept the total program code as input and then converts it into machine code that means converts source code into object code, like COBOL, C.
Interpreters: Interpreters also does the same task of the compiler but it does in a different manner. The interpreter takes the program code (source code) line by line and converts it into the machine (object code). Device Drivers: System software that controls and monitors functioning of a specific device on a computer. Each device (like Printer Fax device) that needs to be attached externally to the system has a specific driver associated with it. When you attach a new device, you need to install its driver so that the operating system knows how it needs to be managed. How software is made or what is software development? A computer program is otherwise known as software made by binary code which 1 and 0 and this is the only thing that computer understands. So, here we used the source code, the source code is the instruction to the computer that is quite human readable with a little practice. 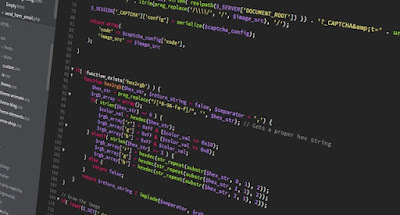 The source code is available in many different languages like Java, Python, C++, C, PHP etc. Here the developers give the program(source code) to the computer and computer convert those languages to the binary code which is 0 and 1. A group of developers works hard then a professional software is made. The developer tries to make the software perfect but there have few problems, the problem called bug. The bug is fixed by the developer through updates. What software do youtubers use? If you want to know what software do youtubers use then you're in the right place. Mostly youtubers use one video editing software and you can find the best free video editor software for youtube video editing. If you find an app for the Android then you can use KineMaster app. Also, you need a photo editor to create the thumbnail of the YouTube video. So, you can use Adobe Photoshop, or if you find for the Android app then you can use PicsArt and PixelLab app. You need a screen recorder, and if you use a computer then you can use OBS Studio also you can find the best screen capture tool. And if you want to find for android then you can find in the Google Play Store. You can also use YouTube Studio and here you can check all of your video and YouTube channel details. These are the most common software that youtubers use. If you want to become a successful YouTuber then you must use that software and it really helps you to grow your channel. The articles have some of the information about software, the classification of software and some details about the software. Now, if you want to become a software developer then you can join software development course and also watch software development tutorial on YouTube. Now, if you like the articles the share to your friends and if you have any query the comment us. Thanks to visiting our site.